About The Academy - bvboys's JimdoPage! "Go after the boys. If you can lead the boys to Jesus, the impact will reach the girls and the women; it will eventually rebuild the family, transform the city, and change generations to come." 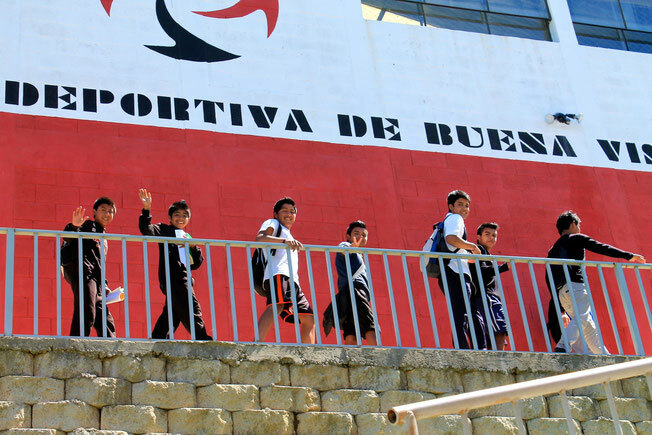 The Buena Vista Sports Academy for Boys exists to provide an avenue for boys, who live in the toughest places around the world, to break generational chains of sin, poverty, addiction, and empty religion - and find hope in Jesus Christ. The end goal is that the young believers that come out of our BVSA Academies will lead their communities to faith in Christ. What began as a simple step of faith in 2008 has grown into an amazing display of God's provision through the generous support of his people. We have watched Him faithfully provide for everything we were dreaming for - and more - which has bolstered our confidence in Him and His plans for reaching more young people through our BVSA Planted Academies. Pray with us as we seek to bring hope to these boys, their families current and future, and their entire communities!